The Bay Area Urban Areas Security Initiative (BAUASI) improves regional capacity to prevent, protect against, respond to, and recover from terrorist incidents and catastrophic events. We utilize federal homeland security grant funds to analyze regional risks, identify capability gaps, and build a secure, prepared and resilient region. The Bay Area UASI works in close collaboration with diverse stakeholders at the local, state, and federal levels. The Department of Homeland Security first established high risk urban areas and determined federal funding allocations in 2003 in compliance with the Homeland Security Act of 2002. Between 2003 and 2005, the individual urban areas of Oakland, San Francisco, and San Jose were selected to receive separate funding. However, in 2006, these major cities were consolidated into the Bay Area Urban Area. By 2011, the Bay Area Urban Areas Security Initiative further expanded to include its current twelve county membership. The Bay Area UASI is inclusive of over 100 incorporated cities and a combined total population exceeding 8.2 million people. As of 2015, the region’s economy totaled more than $785.5 billion, ranking it 19th among all countries in the world. In addition to residents, the Bay Area attracts over 16 million visitors annually who spend more than $16.6 million per day. One of the most culturally and geographically diverse areas in the nation, it is home to critical infrastructure, a concentration of banking, Fortune 500 and technology companies, light and heavy industry, and iconic sites and destinations. Because of these and other factors, the Department of Homeland Security ranks the Bay Area the fifth highest urban area in terms of risk and threat, behind New York, Los Angeles, Washington, D.C., and Chicago. Member jurisdictions of the Bay Area UASI include the major cities of Oakland, San Francisco, and San Jose. An eleven member Approval Authority directs the Bay Area UASI under the auspices of a multi-year master agreement. 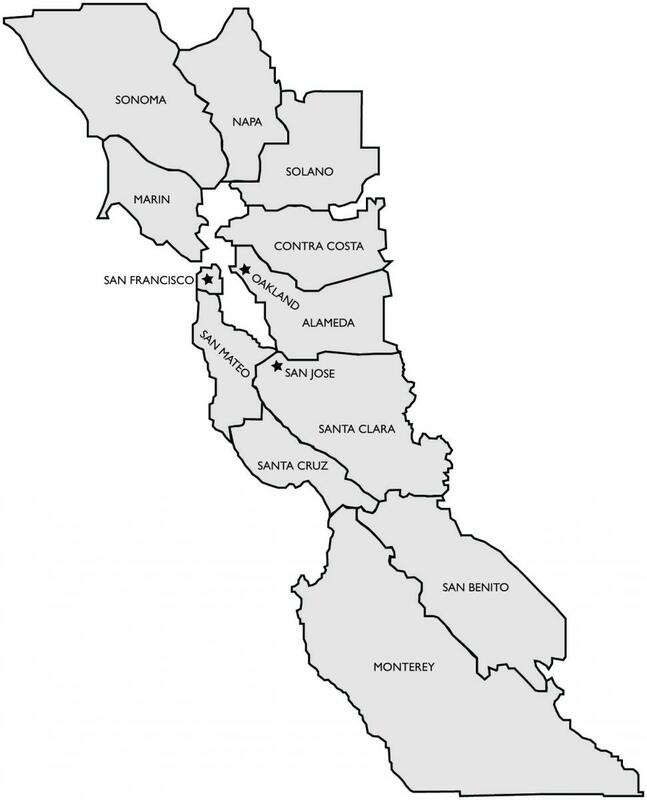 This Brown-Acted body includes representation from each of the three major cities (San Francisco, Oakland, and San Jose) and some of the twelve counties located in the Bay Area UASI footprint. This group provides policy direction and is responsible for final decisions regarding projects and funding. Under the direction of the Approval Authority, the Bay Area UASI Management Team administers grant funds, conducts risk and capability assessments, supports policy development and implementation, and develops and disseminates tools and best practices among the region’s emergency response and management disciplines. The Management Team serves as the liaison between the City and County of San Francisco (the Bay Area UASI fiscal agent), the Department of Homeland Security, the State of California, and local government grant sub-recipients. The Bay Area UASI produces three newsletters and an annual report each year to highlight the activities of our organization. Click HERE to view.